Some resource has shared information regarding the upcoming compact digital camera Sony RX1, the official release is to take place in the near future. The main feature of this Sony RX1 model is the use of full-frame CMOS sensor, similar to that used in the device A-99. Also, the new product is using removable aperture lens with a fixed focal length lenses – Carl Zeiss SONNAR. Maximum aperture of this lens stated f / 2, and the focal length is 35 mm. More technical specifications of Sony RX1 are not announced, but some conclusions can be drawn from published imaging device. Thus, in the presence of a built-in pop-up flash and a hot shoe for an external flash. Besides the automatic shooting mode, the new product also delivers pre-shooting scene and accessible opportunity to set the shutter speed and aperture in the foreground, and in full manual mode. In addition, the device allows exposure compensation and use a set of three custom shooting settings. 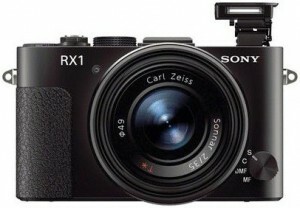 It is expected that the official release of a compact camera Sony RX1 will be held in the coming days. According to preliminary information, its recommended retail price is about $ 2800.